In 2005 an international competition was held to find the perfect artist to illustrate Yann Martel's Man Booker Prize-winning novel. From thousands of entrants, Croatian artist Tomislav Torjanac was chosen. 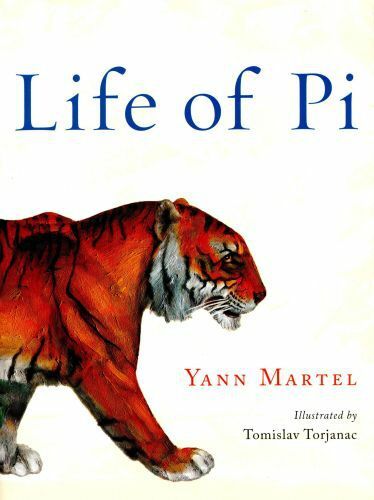 This lavishly produced edition features forty of Torjanac's beautiful four-color illustrations, bringing Life of Pi to splendid, eye-popping life. Tomislav Torjanac says of his illustrations: "My vision of the illustrated edition of Life of Pi is based on paintings from a first person's perspective--Pi's perspective. The interpretation of what Pi sees is intermeshed with what he feels and it is shown through [the] use of colors, perspective, symbols, hand gestures, etc."